The Children’s Act 38 of 2005 (as amended by the Children’s Amendment Act 41 of 2007) and the associated Regulations came into force on 1 April 2010 to respect, promote, protect and fulfil children’s constitutional rights. 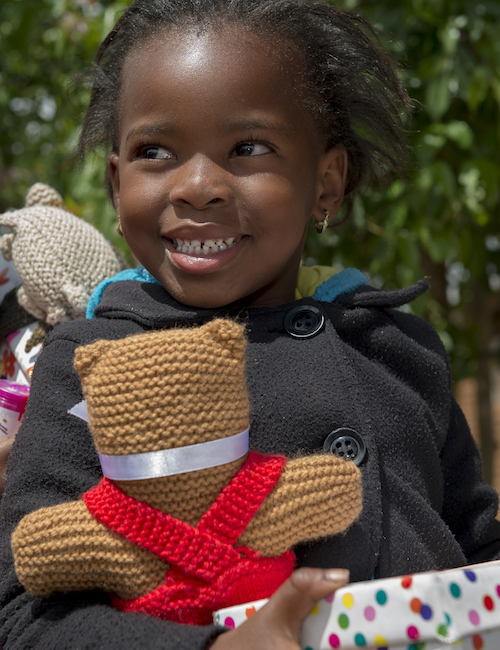 The Santa Shoebox Project does its utmost to uphold the rights of the children it represents, to ensure that active steps are taken to prevent third parties from interfering with and violating the children’s rights. To protect the identity of the recipient children in our project, we can no longer display a list of children’s names in direct association with the name of a facility, in a public domain such as our Website. This ensures that no member of the public will gain access to a named child through our website. We are aware that many of our donors continue to support the same facilities year after year, and we realise the necessary change to the pledging process may create some disappointment. We also know that you will support any policy that keeps our kids safe from potential harm.